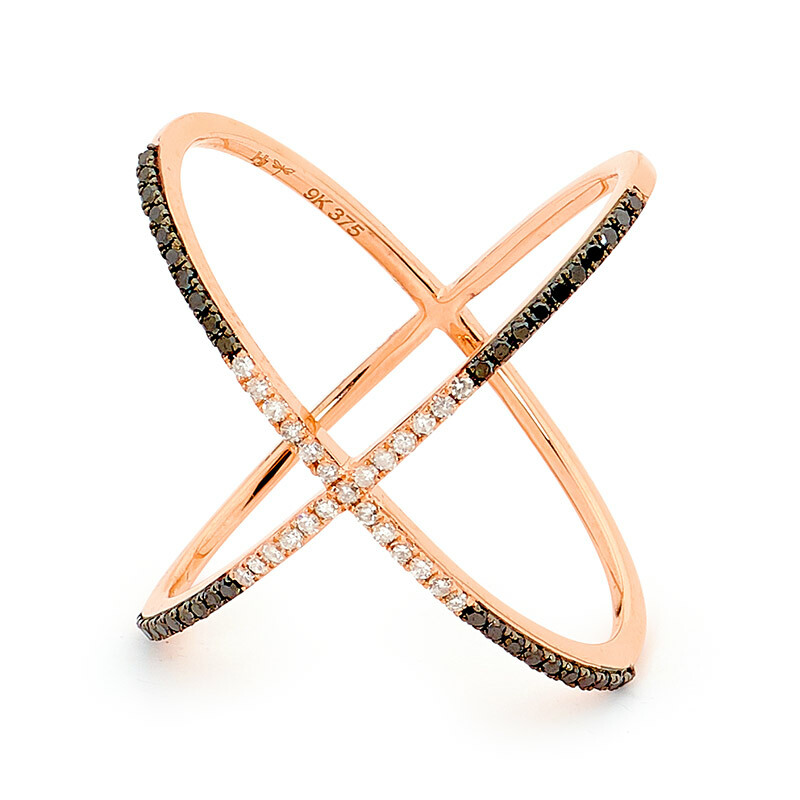 This stunning ring, the modern uptake to our diamond collection, is encrusted with black and white diamonds. 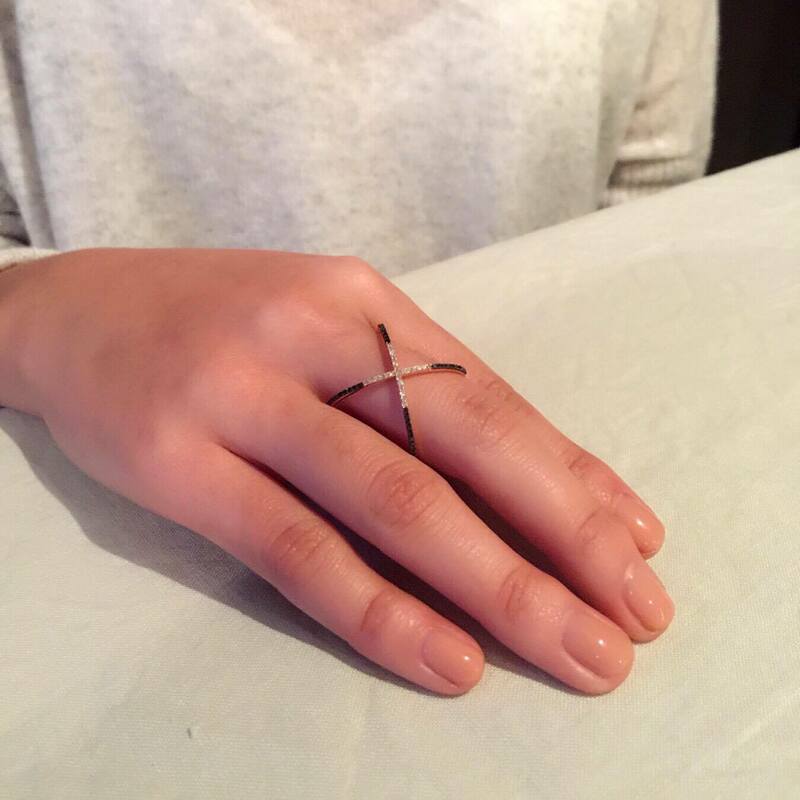 Can be worn on its own or next to other rings from Elements of Harmony. Only size M is available in stock. Ready to ship now.